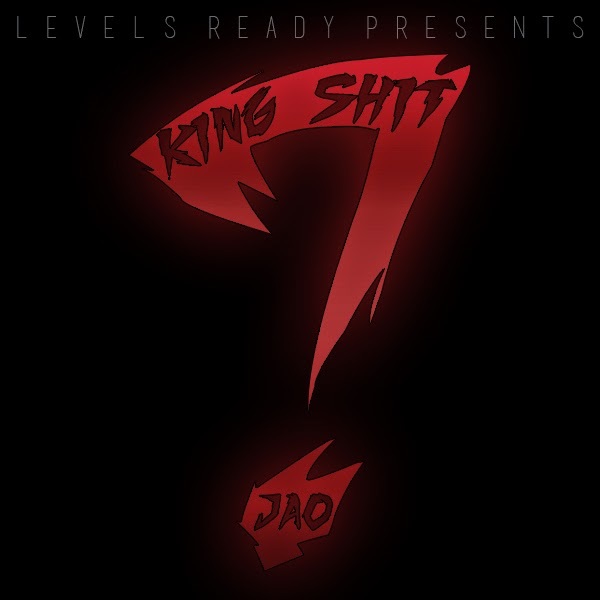 5/28/14 What You Need Wednesday's: JAO "King Sh!t"
This weeks What You Need Wednesday's article is an exclusive from a Levels Ready artist. Back In November he released his first solo mixtape which received decent reviews from the consumer. Back in April he had two diverse shows in the city of Philadelphia, the first at the Urban Arts Gallery, a show that was orchestrated by Claire Xpression and Urban Country and then at Warmdaddy's the following night where he blessed the stage with artistic peers Lei Row, Mazon, Keya Wilson, Tara Thompson, Mel Alston Jr. and live band Vent. His exact words stated "that weekend was a complete momentum builder," performing with a live band, something he has been anticipating since he first started taking music serious. Most of his local hip-hop community comrades tend to shun the homie JAO. Doesn't make much sense, since his lyrical ability and character he upholds is something that his city, peers and music community are starving for. After listening to his music most consider JAO a hiphop backpack conscience rapper well before you box him in, you may want to do some research and check out his latest free verse "King Sh!t" where he goes in over the Chi-Raq beat. "A lot of rappers repeat themselves and each other in their content" JAO states. Too many passes are being given amongst my peers" he also states. It seems like a trend now for past goons when that word had serious relevancy amongst a lot sudden indivisuals who self claim themselves as Kings. That's cool, even Rome had several emperors, but there is only one King of King.